English publisher Curve Digital announced today that their indie puzzler The Swapper is set to score well over $1 million in sales next month across the PlayStation 3, 4 and Vita. 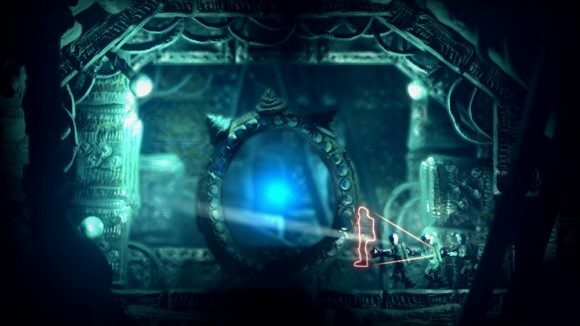 The Swapper was originally released on the PC, and Mac by Finnish developer Facepalm Games in May last year. With its highly original concept and distinct look, it garnered enough attention that it warranted a release across PlayStation platforms last August. Within that brief period of time, the game is set to gross over a million dollars in sales just on PlayStation consoles alone. Traditionally, if you wanted your game to appear on a console, you would need to work with both a publisher and a porting house to get the job done. At Curve, we keep everything in-house from development right through to submission, QA, and marketing. Every game we release on console helps us build up more experience and more contacts in a world that, prior to this new generation of consoles, was out of reach of the vast majority of developers. Our extensive links with platform holders and our ever increasing empirical data on the purchasing habits of console gamers means we can offer not only the project management and technical expertise of a development studio, but the sales and marketing expertise of an experienced publisher. Such has been the success of The Swapper that Curve have expanded their marketing department, partly by hiring ex-Gamer Network Advertising Manager Paul Watson as their Commercial Marketing Executive. In The Swapper, players take control of a nameless astronaut stranded on a space station. In order to aid his or her escape, the astronaut must make use of the titular Swapper, a device that can produce temporary clones of its user in order to aid him or her in solving the numerous puzzles required to escape the station. Instead of traditional digital textures, the game’s visuals adopt handcrafted clay sculptures, giving The Swapper its unique look that, combined with its equally original gameplay, has garnered it a rare 87 score on Metacritic.